" Gabriel is an 18-year-old guitarist born in São Paulo, Brazil "
Gabriel is an 18-year-old guitarist born in São Paulo, Brazil. He first picked up a guitar at the age of 5, after watching countless Bon Jovi DVDs in the living room. Gabriel’s first concert was in his birthday party, at age 8. Bon Jovi being his favorite band at the time, he played alongside an acoustic set with a well-renowned Bon Jovi cover from Brazil. In the next couple of years, Gabriel developed a taste for metal music, after getting exposed to Metallica. It was at age 13 that Gabriel knew that he wanted to become a live performer, after first seeing Metallica live. Immersed in the band, Gabriel learned every single Metallica song, and started performing in his school assemblies, thus being recognized by his community. In his senior year of high school, Gabriel organized, participated and won first place in a fund-raising talent show, in order to participate in the refurbishing of houses inn the community of Heliópolis (a slum inside the city of São Paulo), promoted by Habitat For Humanity. 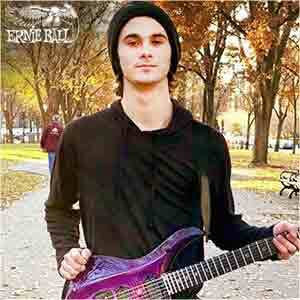 Tackling aspects such as marketing, production and music engineering, Gabriel quickly became interested in the business side of the music industry, and thus applied to Berklee College of Music, not only to major in Music Business, but to become a better musician and form a band, to work towards his ultimate goal: become the next generation’s metal guitarist. Gabriel was accepted into Berklee in 2017, and is now tasting the extreme cold weather from Boston, something he did not experience in Brazil. 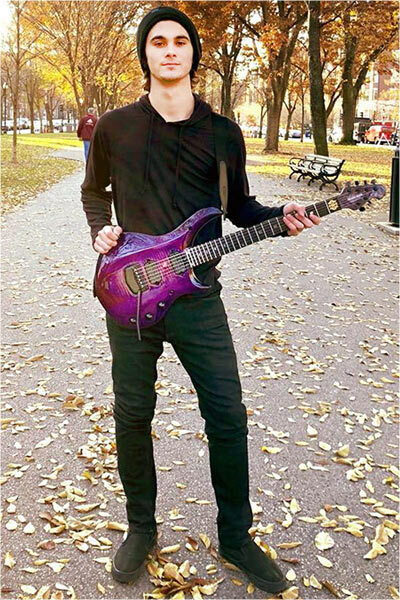 As a gift for entering the best music school in the world, Gabriel’s parents gave him a John Petrucci Majesty guitar, since Petrucci is one of his favorite guitarists, and served as inspiration towards his desire to study at Berklee. Check out some of Gabriel’s music (and life) through his social media, linked above.